I enjoy all old cars & can appreciate the effort to restore or rebuild any year of old car or truck. My particular interests are with street rods & customs, but I also own a almost stock ’51 Buick woodie wagon which I restored in the early 80s. I try to get it out to as many activities as possible. I also own a ’32 Ford hiboy roadster with a ’68 Buick 430 V8. I’m presently working on a ’49 Buick convertible which will have a late model GM V8 & trans & has modern suspension & brakes, but will remain fairly stock looking on the outside. 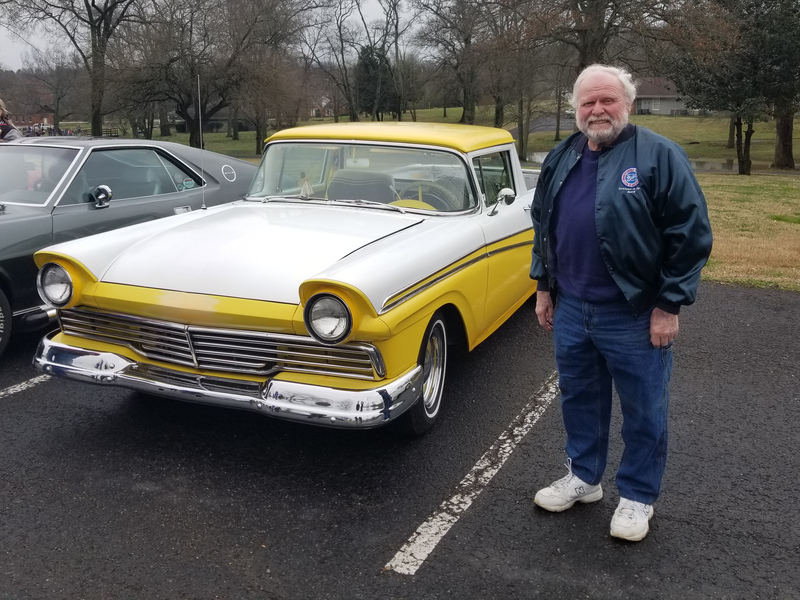 And last, but not least, is my daily driver, a ’57 Ford Ranchero. As I said, I can enjoy any old car & the effort to redo it regardless of the end result. I take offense at old car people who look down their nose at other car people who don’t share their ideas that a car has to be stock, or that a street rodder has to start with a rust bucket. My advice to any new old car person is to find as good an old car as possible to use as a project, due to the cost of parts & labor to redo an old car. Probably my ’51 Buick woodie. It was my first full redo of an collector car, & has always been a great car to have no matter what kind of event I go to. When I found my woodie originally, I was actually looking for a late 40s Ford fordor sedan for my then wife. Since I was already involved somewhat with Buicks, the woodie struck me as a whole lot more interesting than a fordor Ford, so I soon owned my second old Buick. I already had a ’37 Buick coupe at the time that I was working on.